UPDATE: This webinar has already occurred. SCBWI WWA Passport holders enjoyed free access to the live event and by now have received a link to its recording via email. If you are a Passport holder and wish to view the webinar, be sure to do so by December 12, 2018. For $10, SCBWI International members may register by December 3 to view the webinar recording. All registrants will receive an email containing a link to the recording on December 5 and have one week to view the webinar. 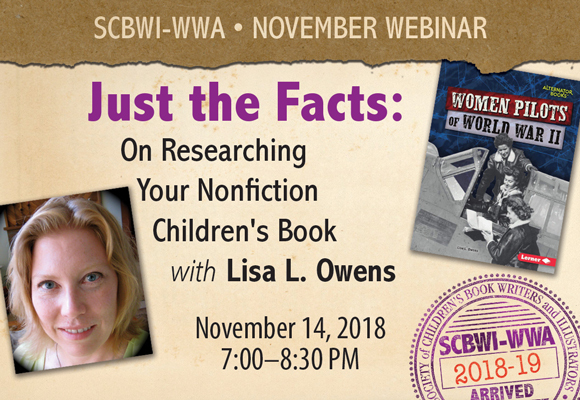 For $15, non-SCBWI members may register by December 3 to view the webinar recording. All registrants will receive an email containing a link to the recording on December 5 and have one week to view the webinar. Creators of nonfiction for kids must possess a thorough understanding of the role quality research plays in the work. The writer’s job is to craft an engaging and enlightening book, relying on the most credible source material available with the knowledge that a robust editorial process will put his or her results to the test. 1. Getting familiar with today’s children’s-nonfiction landscape. 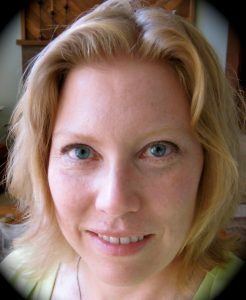 Lisa L. Owens is the editor of hundreds of books for all ages and the author of 100+ children’s titles. Her most recent nonfiction book is Heroes of Dunkirk (Lerner, 2018). Visit her online at llowens.com, owenseditorialink.com, and onlineauthorvisits.com.